Well today I am going to have a sort of busman's holiday. 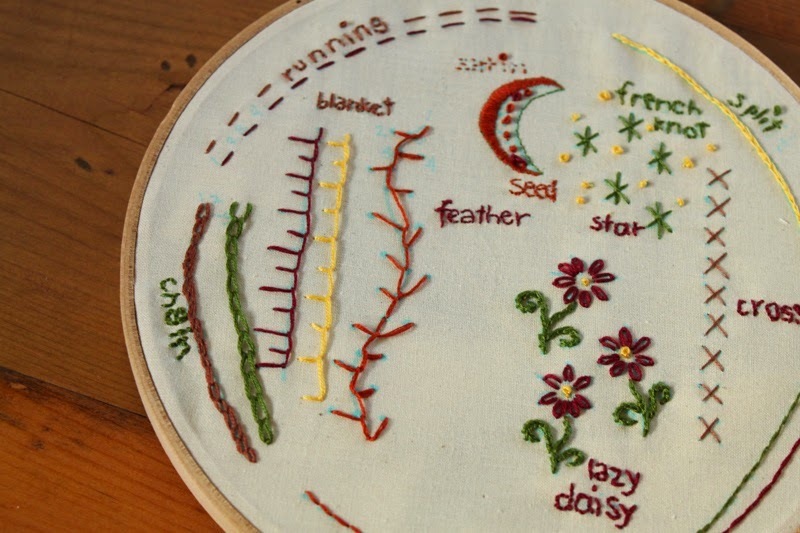 I would like to practice lots of different embroidery stitches. Some stitches ( I would say around 15 or so ) come naturally to me and other I have to look up and refresh myself on. I thought I would do some practising of stitches with different colours and combinations as well. The stitch of the week is still running as there are SO MANY stitches and I would love a lot more of them to become second nature to me. So I am away to my stitching room to gather my materials and then cosy into a chair and start. The weather is soggy! so warm drink, comfy sofa and my stitching! I hope you have a great day and Happy Stitching!